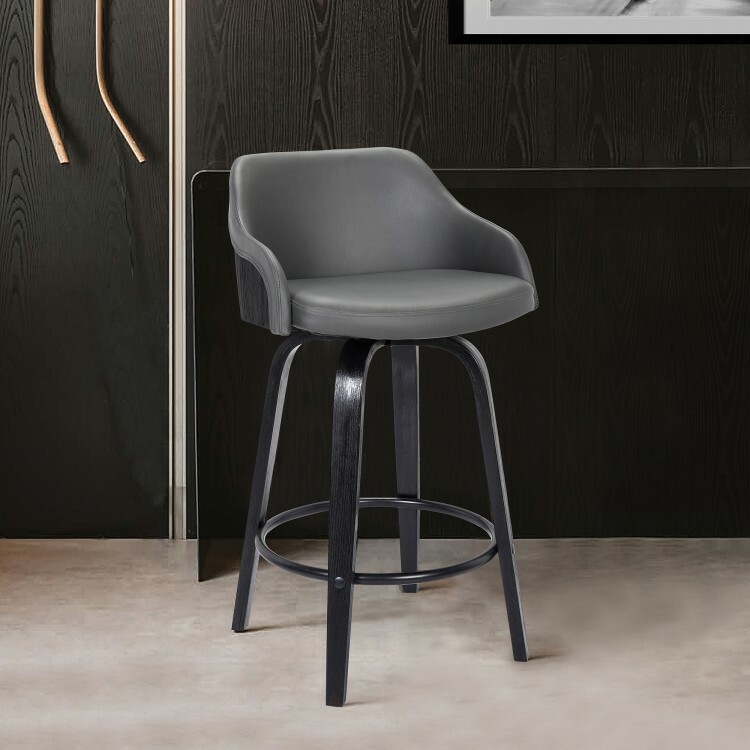 The Armen Living Alec contemporary swivel barstool is a practical, yet stylish piece designed for both comfort and aesthetic pleasure. 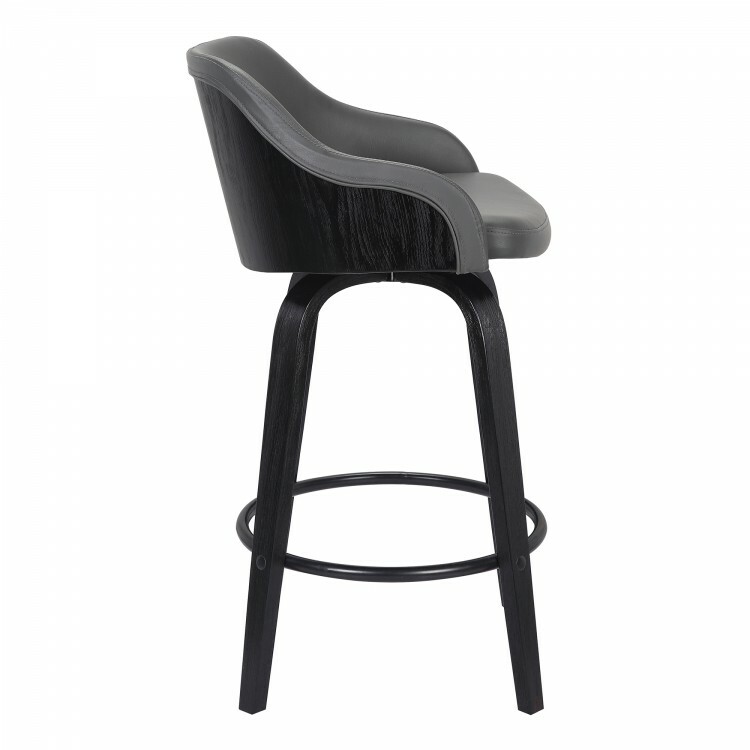 The Alec's durable Black Brushed wood exterior finds good company with the barstool's sleek Grey Faux Leather upholstered seat and back. 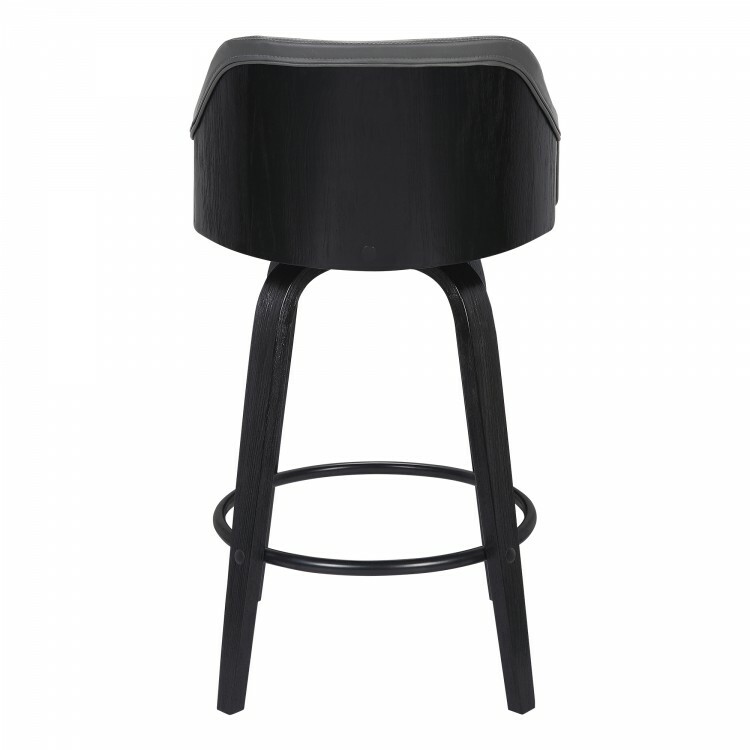 The Alec's Black Powder Coat finished footrest beautifully compliments the elegant, straight leg design of this impressive stool. 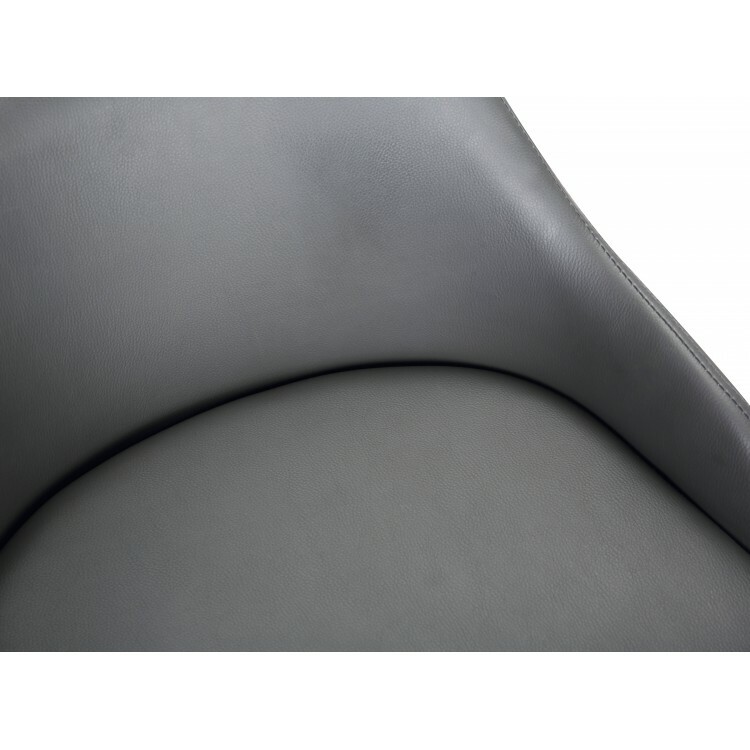 The 360 degree swivel action allows for maximum user mobility while seated. 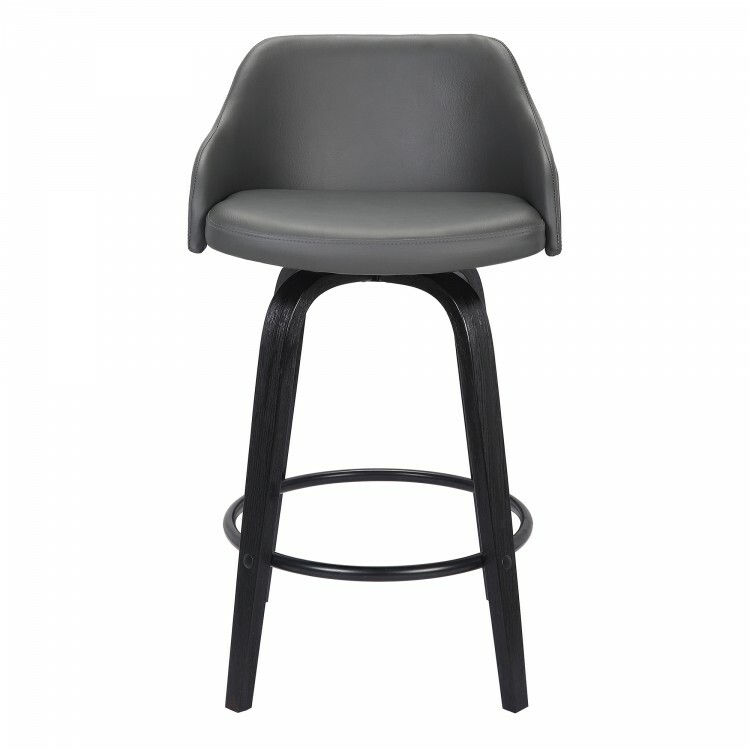 Featuring a foam padded, low back design, the Alec offers optimal lumbar support without compromising on the stool's contemporary appearance. 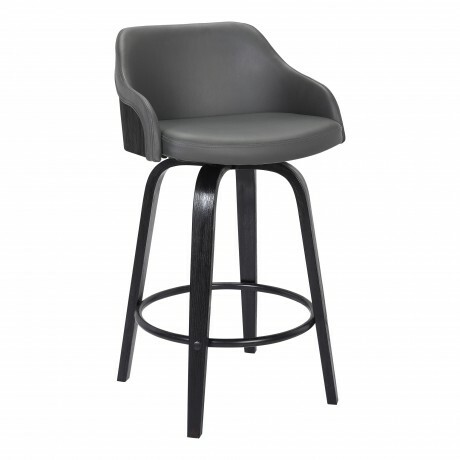 The stylish Alec is available in 2 industry standard sizes; 26 inch counter and 30 inch bar height. Also available in walnut wood finish with brown faux leather.